Professor Frédéric Encel is a writer and scholar on geo-politics. 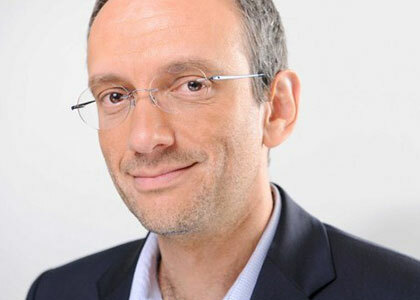 He is Professor of International Relations at the ESG Management School, a lecturer at Sciences-Po Paris, and seminar leader at the French Institute of Geopolitics. Encel is also a geo-political consultant for public and private companies involved in export, and a journalist on France Inter. Encel has authored many books and articles on the subject of geopolitics, including ‘Geopolitics of Jerusalem’ (1998), ‘The Middle East between war and peace. A Geopolitics of the Golan’ (1999), ‘The Art of War’ (2000), ‘Geopolitics of the Apocalypse. Democracy to the test of Islamism’ (2002), ‘Great alliance. Chechnya to Iraq, a new world order (2003), ‘Geopolitics of Israel’ (2004), ‘Understanding the Middle East’ (2005), ‘Geopolitics of Zionism’ (2006), ‘Geopolitics Atlas of Israel. Aspects of democracy in war’ (2008), ‘Understand Geopolitics’ (2011), ‘Energy Outlook (2013), and ‘Some ideas about the contemporary world’ (2013).